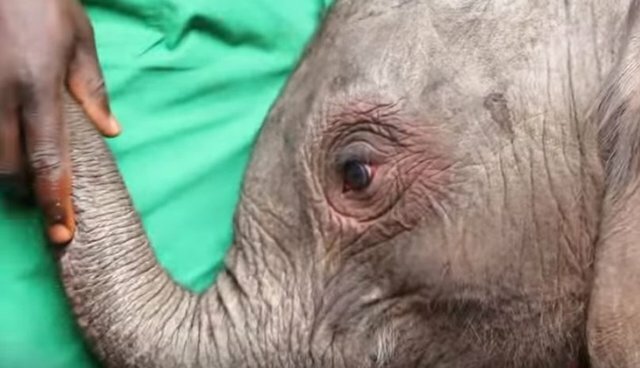 This baby elephant's face has been compared to an angel - even though the file at the sanctuary where she lives reads like a report card for a juvenile delinquent. 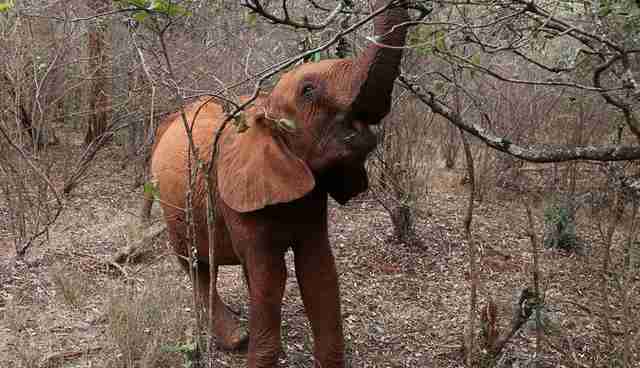 "Sneaked away from the rest of the group," reads part of Kamok's online profile at the David Sheldrick Wildlife Trust (DSWT). "Kamok did not seem to have any desire to rejoin the group and drink some milk," reads another note. She's also fond of pretending to charge hapless humans. While surrounded by an admiring crowd at a public visitation, Kamok used her inquisitive trunk to rope in someone's camera. If Kamok has a singular thirst for life, and all its prankish potential, it's probably because she began life, well, thirsty. In September 2013, she was just a day old when she showed up, mysteriously, at the Ol Pejeta Conservancy in Laikipia, Kenya. There was no sign of an elephant herd in the area. 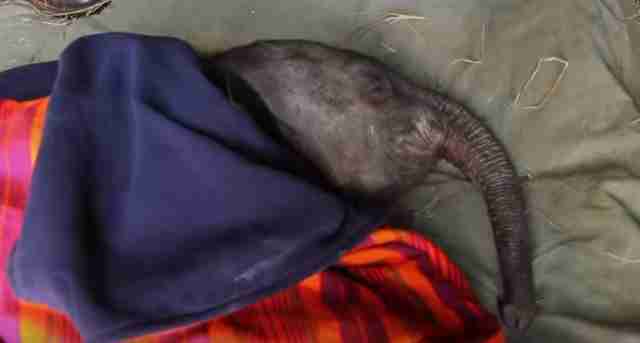 She could barely stand on her weak legs and joints and had likely been left behind. 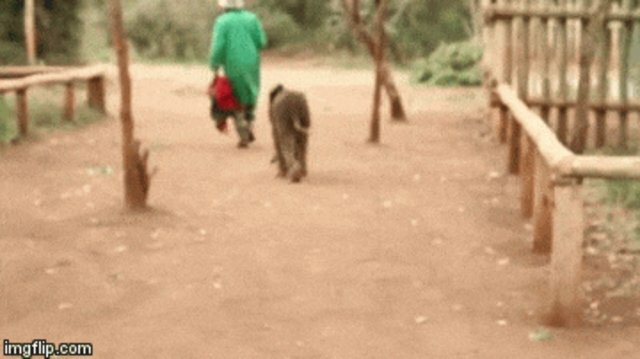 The DSWT flew a team from Nairobi, about 40 minutes away by air, to see her. Kamok was waiting for them at the landing strip. Since the calf likely didn't get enough of her mother's nourishing milk, team members gave her a bottle - which she slurped down immediately. 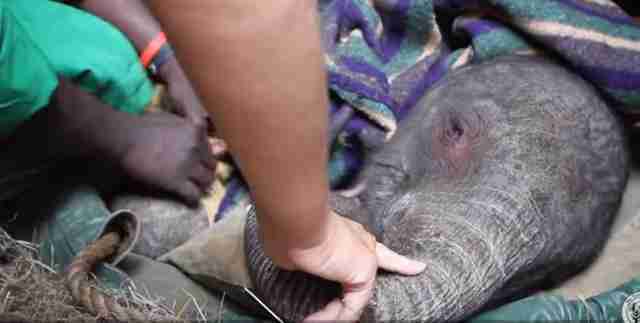 And then she was flown back to the organization's famed nursery in Kenya. Once there, staff realized her limbs and joints weren't working properly. It slowed her down. And may have been why she couldn't keep up with the herd. "These difficult decisions have to be made in the wild and a herd cannot be encumbered by anything that may compromise the safety of the family as a whole in these difficult times," DSWT notes on its website. Indeed, the organization adds, within just 24 hours of birth, a calf needs to be able to travel more than 12 miles. For a baby born with bad joints, that may have proved too daunting a task. 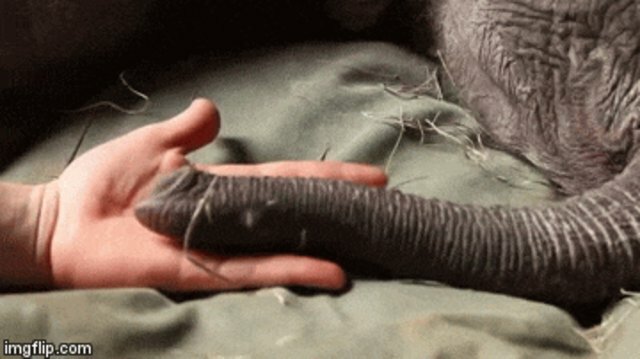 But gradually, sanctuary staff nursed her back to health. In time, Kamok's wobbly joints grew stronger. And with that strength came playfulness. "She's simply enchanting," the group notes in the video. "All those who meet her fall completely and helplessly in love." And she refuses to be left behind again.